Words At War: The Civil War and American Journalism, Sachsman, David B., Rushing, S. Kettrell and Morris, Roy, editors, Purdue University Press, 412 pp.,index, notes, 2008, $29.95. 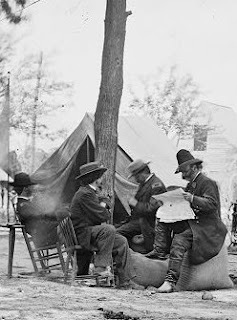 Words at War analyzes the various ways in which the nation's newspaper editors, reporters, and war correspondents covered the Civil War. In doing so they both reflected the mindsets of their readers and shaped the responses of their subscibers and their antagonists. The sections of Words at War: Fighting Words, Confederates and Copperheads, Union Forever, and Continuing Conflict trace the evolving roles of the press in the antebellum, wartime, and postwar periods. Spanning 1820 to 1900 the work offers a very large slice of newspaper history. Not limited to the Secession Crisis, campaigns and battles, Words at War covers the Nullification Crisis of 1832, the Amistad trial, the emergence of the Whig Party, the birth of the Republican Party, the Southern Press Association, the Sioux Trial of 1862, Edwin Stanton as Spinmeister, the post-war constitutional amendments, the Klan and race riots, popular religion, and lynching. Famous battlefront reporters and their writings are not neglected. Thirty essays, each with its own notes, satisfy the reader looking for scholarship. J. Cutler Andrews' seminal studies, The North Reports the Civil War and The South Reports the Civil War and Lorman A. Ratner's and Dwight L. Teeter's Fanatics and Fire-eaters: Newspapers and the Coming of the Civil War by now have company on CWL's bookshelf. Top Image Source: General Ambrose Burnside reads newspaper to Matthew Brady. Three Cups of Tea: One Man's Mission to Promote Peace . 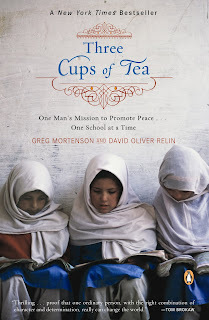 . . One School at a Time , Greg Mortenson and David Oliver Relin, Penguin Books, 349 pages, $16.00. A likely candidate for the next Nobel Peace Prize is Greg Mortenson. No Powerpoint with video clips, no impressive public speaking, just stones into schools. Who said "God protects idiots?"? Failures may lead to unplanned but much needed successes. A emergency room nurse who would rather be mountain climbing in the Himalayas, Mortenson's success took him by surprise. During one climb on K2, he rescued a comrade then became dangerously ill. He was sheltered for almost two months by Pakistani villagers. In gratitude he promised to build the town's first school after he witnessed the village's children going to classes on a windy plateau. No walls, no roof. The Central Asia Institute grew out of Mortenson's near futile efforts to raise money without any expertise or talent. Now more than 50 schools across rural Pakistan and Afghanistan have been built by the CAI. The mountain climber's efforts are described in detail by Relin the co-author. The efforts both enrage and break the heart of the reader. Village elders, con artists, philanthropists, mujahideen, Taliban officials, ambitious school girls and upright Muslims are described in fascinating detail. Inspirational? In a way. Literary merit? Somewhat. Melodramatic? At times. Pacing? Nothing is fast. The rule is: The first time you share tea, you are a stranger. The second time, you are an honored guest. The third time you become family. Memorable? Definitely yes. Mortenson's efforts to address poverty, educate girls, overcome cultural divides, and to locate Americans willing to part with tens of thousands of dollars to build schools in enemy territory is amazing and very humane. Enormous obstacles are overcome by the will and endurance of one man. Against the odds, Mortenson creates trust and hope among the Pakistani villagers and American readers of Three Cups of Tea. He began his campaign in 1993 and this is 2010. Several bi-partisan U.S. Congressional representatives nominated Mortenson for the Nobel Peace Prize in both 2008 and 2009. The award recipient is chosen by a secret process and announced in October the following year. As of 2009, Mortenson has established or significantly supports 131 schools in rural and often volatile regions of Pakistan and Afghanistan, which provide education to over 58,000 children, including 44,000 girls, where few education opportunities existed before. Maybe Mortenson could get Al Gore to go on tour with a Powerpoint with video clips or get Barack Obama to read a speach for the cause of building schools in Pakistan. No. Mortenson doesn't need the recognition of five Norwegians. The schools are his monuments and his voice. 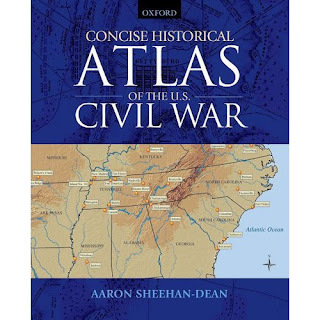 Concise Historical Atlas Of The U.S. Civil War, Aaron Sheehan-Dean, Oxford University Press, 2009, 112 pp., glossary, charts, bibliography, index, 52 color maps, $24.95. In an attractive 7"x9" format, Sheehan-Dean and Oxford University Press' Concise Atlas offers 52 maps of the territorial growth from the Revolutionary War period to the presidential election of 1876. The work appears to be developed for courses that focus upon the Civil War and Reconstruction Era. Most recent atlases on the market offer a large coffee table format of the original maps drawn for officers or on topographical features. Sheehan-Dean's atlas focus is readability, clarity and explanation. Three types of maps are in the atlas: campaign, battle and data. The data-analytical maps graphically represent the several core issues that emerged during the antebellum, war, and reconstruction eras. Maps of industrialization, agriculture and politics establish the context with which the Civil War was initiated, fought and politically settled. Each of the 52 maps is full page and set opposite a page of text that discusses the context of the map. Major themes of the war are broadly set forth. but do not make a direct reference to competing interpretations. Sheehan-Dean recognizes that these brief discussions are not definitive but merely a doorway into a larger and deeper dialog with primary sources and current scholarship. The first seven maps present issues and data of the Antebellum Era; the last seven maps present issues and data of the Reconstruction Era. The remaining 38 maps are campaign, battle and political maps. For example there is a Dissent (1861-1865) map, and Effect of the Emancipation Proclamation map, a Confederate States congressional Elections Map (Fall 1863) and a Union congressional elections map (Fall, 1864). Concise Historical Atlas Of The U.S. Civil War fine resource for the Advanced Placement instructor and student, undergraduate student, and Civil War readers. South Side Depot Could Become Visitor Contact Station For NPS, F.M. Wiggins, January 24, 2010. One of the city's most historic building's could become the property of the National Park Service if a plan to expand the park's boundaries is completed. This week the public will get a chance to comment on the proposed plans. 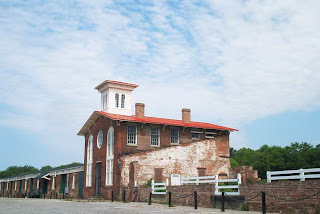 South Side Depot, which was one of the most important buildings during the nine-month long siege of the city during the Civil War, could potentially become a visitor contact station for the National Park Service. 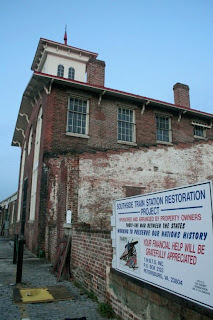 Originally built around 1854, the building served the Southside Railroad that connected City Point in Hopewell to Lynchburg. During the siege of the city, the Confederates used the station to receive supplies. Though the depot was a frequent target of Union shelling, it is only documented as having been struck twice. At a January 5 City Council meeting, Petersburg National Battlefield Park Superintendent Bob Kirby told officials that circumstances within the Park Service made it more feasible for the federal government to take possession of the building. 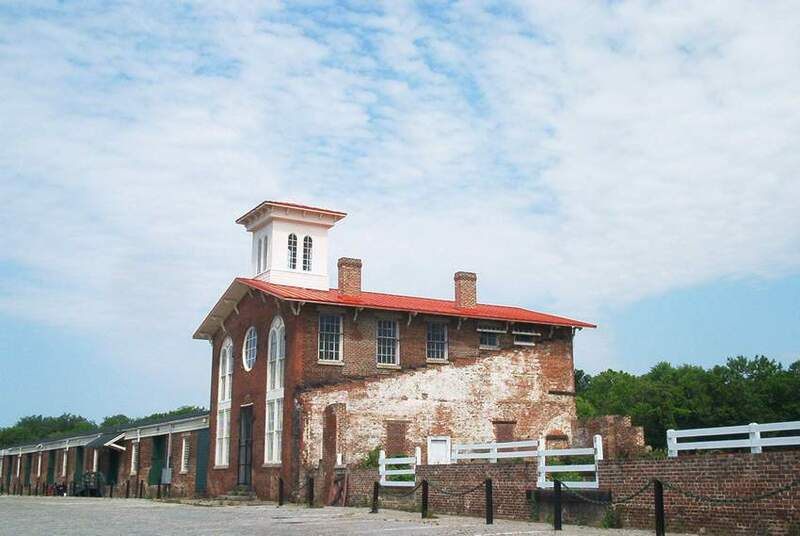 The 2005 General Management Plan for the Petersburg National Battlefield included the establishment of a visitor contact station in Old Towne Petersburg at the South Side Depot. It also called for the city to retain ownership of the building. Kirby said that the political climate within the National Park Service has changed dramatically. He described how several years ago, during the development of the General Management Plan, he was told that the train station was "just another old building" by National Park Service representatives at the regional office in Philadelphia. "Now without amending the General Management Plan we were able to proceed with an environmental assessment and will develop an idea of what the general public opinion is on how to proceed," Kirby said. He said that the building is an emblematic institution of the importance of transportation - especially rail - during the Civil War. On Wednesday, the public will have a chance to speak up about the plans to include the 2.94 acre depot site in the boundaries of the Petersburg National Battlefield. Under the proposed plan, the city would transfer ownership of the building to the park to be used as a visitor contact station in the city. If the park is able to expand the boundaries to include the building, Kirby said that repairs necessary to open it could cost up to $8 million. Maintenance and operations costs for the building would be included in the park's annual budget at no additional cost. But Bill Patton of the Petersburg Foundation - who has twice owned the station - said that the local non-profit has agreed to partner with the city and the National Park Service should the plan move forward. "We would primarily be handling the money," Patton said. Patton is excited about the potential of reuse for the building. He said that he personally paid to have it restored for use in 1990. However, the August 1993 tornado that ripped through Petersburg caused more damage to the building than nine months of siege warfare. The east cargo terminal was leveled, the cupola on the roof of the central building was removed and roofing was nearly destroyed. 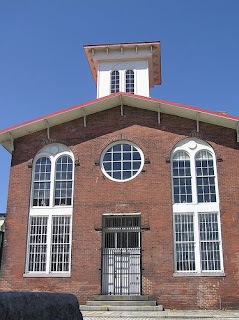 Following the tornado, the building was sold in the late 1990s to a group that had promised to raise funds, restore the building and turn it into a museum. Patton said that plan fell through and he had to take the group - The War Between The States, Inc. - to court. The lawsuit ended with a settlement that returned the building to the possession of the Patton family. Patton then eventually sold the building to the city for $640,000. Now he'll be working with the Petersburg Foundation to act as a fiscal agent and fundraising organization. "We'll be raising money, seeking federal and state grants to have the building restored," Patton said. Patton said that he hopes that along with the money, the foundation will be able to hire contractors to preserve and restore the building - with the exception of the east cargo terminal. Federal restrictions prohibit the reconstruction of any building that has been destroyed. Patton said instead a roof may be constructed over the felled remains of the building, which may be restored to some extent for some other use - perhaps as an amphitheater or outdoor interpretive space. The public will get two opportunities on Wednesday to comment on the proposal. National Park Service staff will host an two open house sessions where interested members of the community can ask questions, learn more about project and submit comments. The first session will be from 2 to 4 p.m. and the second session will be held from 6 to 8 p.m. at the nearby Union Station at 103 River St.
Kirby said that the public comment period actually opened Jan. 13 and will continue through Feb. 19. The next step after the comment period, according to Kirby, could be completed by the end of April if everything goes well. "If there's no substantive objection to the use of the structure, we will have a Finding Of No Significant Impact or FONSI," Kirby said. If the FONSI is signed off by the regional director of the National Park Service, things will then take a legislative turn. "We will then be at the stage of drafting a bill," Kirby said. "But the bill will need a sponsor." Kirby said that could come from the region's congressman - U.S. Rep. J. Randy Forbes - and that means that expanding the park boundary may not happen until the next legislative session. Kirby said that because this is a relatively "small project" with relatively little expected cost - approximately $600,000 to acquire the building and property - the project could move forward fairly quickly. In April 1862, reports of carnage at the Methodist meeting house of Shiloh at Pittsburg Landing along the banks of the Tennessee River in the wilderness of southwestern Tennessee stunned the citizens of both the Confederacy and the Union. 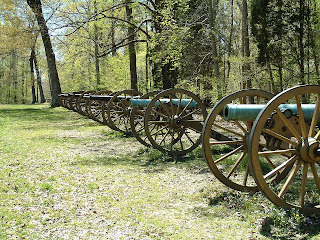 At Shiloh, the first significant battle of the Civil War, the Rebels attempted to stem the Federal advance into the Confederate heartland and shore up the collapsing defensive line in the western theater. They failed. Yet the Union army did not win; it merely survived. Mounting casualties and other events soon overshadowed Shiloh, as the great national tragedy of the war continued unabated for three more years. The campaign, however, stands as one of the most influential of the war and deserves close scrutiny by students of the conflict. The Shiloh Campaign, edited by Steven E. Woodworth, part of the Civil War Campaigns in the Heartland series, provides eight chapter-length essays by notable Civil War historians on various aspects of the battle. The first essay by John R. Lundberg delves into Confederate General Albert Sidney Johnston’s conduct in the campaign from the fall of Fort Henry and Fort Donelson until his mortal wounding at Shiloh. Alexander Mendoza follows Lundberg’s piece with an examination of Union Colonel David Stuart’s brigade in General William Tecumseh Sherman’s division. This brigade’s stand on the extreme Federal left flank delayed the Confederate advance through the day of the battle and proved a key factor in the Army of the Tennessee’s survival. Next, Timothy B. Smith’s essay explores the myth of the “Hornet’s Nest.” If the Confederates directed most of the pressure at the flanks of the Union army on the first day, is there any validity to the idea that the center of the line was a focal point of the fighting? The fourth chapter by Woodworth analyzes Union General Lew Wallace’s delay in reaching the battlefield and the subsequent effects of this event on his military career. Gary D. Joiner’s essay focuses on the important role of Union gunboats to the overall campaign and specifically the battle itself. Joiner demonstrates the effectiveness of the gunboats as floating batteries as well as weapons of terror. The sixth essay is a reproduced article from the Journal of Southern History by the late professor Grady McWhiney, who argued that the Confederates had a realistic opportunity for victory the first day of the battle had General P. G. T. Beauregard not ordered a halt to the advance in order to reorder his lines and reestablish command and control. Charles D. Grear’s essay in chapter 7 investigates what the battle meant to the average Confederate soldier. By examining the writings of these men, Grear demonstrates how time altered perceptions of the battle. Brooks D. Simpson closes the book with his essay on how the battle affected the relationship between Sherman and Ulysses S. Grant and on the futures of these two prominent leaders. The book is an excellent companion piece for those already familiar with such works as Shiloh: Bloody April (1974) by Wiley Sword; Shiloh and the Western Campaign of 1862 (2007), edited by Edward Cunningham, Gary D. Joiner, and Timothy B. Smith; and Larry J. Daniel’s Shiloh: The Battle That Changed the Civil War (1998). However, this work is not for the novice since it is neither an introduction to nor a detailed examination of the Shiloh campaign. Indeed, even if read in sequence, the essays do not present a comprehensive view of the battle. What they do, instead, is focus on some unique aspect of the engagement. As a result, the essays serve to broaden the knowledge of those already familiar with the key people and events associated with the battle. This is good news for Shiloh and Civil War historiography as a whole. For too long, historians have assumed that everything that needed to be addressed about Civil War battles had already been discovered, written about, and analyzed. Such is obviously not the case. Indeed, this anthology of well-written, well-conceptualized, and well-argued essays challenges our current understanding of Shiloh and its significance, or offers new and interesting positions to be further analyzed and debated. It is to be hoped that future volumes in this series will appear for all of the major battles and campaigns of the war. Historians have long noted that each generation has something to add to the understanding of a historical event. This volume stands as testimony that the current generation of Civil War researchers still has something to say on the subject of Shiloh. All scholars and enthusiasts of the American Civil War should add this volume to their collections. Text Source: John D. Fowler. 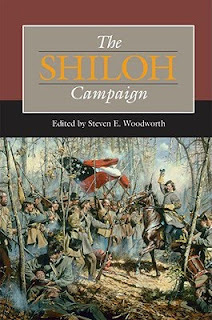 Review of Woodworth, Steven E., ed., The Shiloh Campaign. H-CivWar, H-Net Reviews. November, 2009. This work is licensed under a Creative Commons Attribution-Noncommercial-No Derivative Works 3.0 United States License. 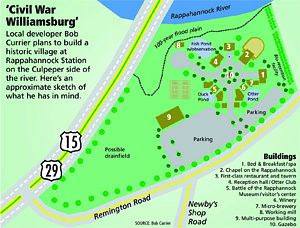 News---Colonial Williamsburg on the Rappahannock River? Civil War Williamsburg, Allison Brophy Champion, Culpepper Star Exponet, January 8, 2010. Union forces clashed with Confederates in two separate fights at Rappahannock Station — the wartime name for modern-day Remington — in August 1862 and November 1863. A major crossing here was the Orange & Alexandria railroad bridge, which the Yankees burned in October 1863, the Library of Congress records. 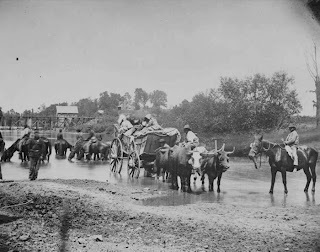 Both sides wanted control of the vital waterway at the site and many died fighting for it. Now, a local developer wants to return the place to its roots with the establishment of Culpeper Crossing, a Civil War-themed tourist destination on 14 acres of wooded, riverfront land adjoining the battlefield. 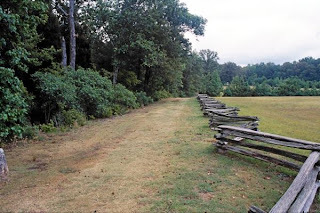 Located about five miles north of the more famous village at Brandy Station — the site of North America’s largest cavalry engagement in June 1863 — Remington sits about half a mile from the Rappahannock River in Fauquier County, though a portion of it sits within the border of Culpeper County. Currier, who has a background as a builder, plans to get started on his “reproduction Civil War town” on the Culpeper side of the river this spring. Besides an 18-room bed and breakfast and a museum, the secluded, riverfront development will include shops, a church, restaurant and live theater — the potential for up to 20 buildings in all, according to Currier. He also plans to incorporate other periods of history relevant to the area including a Native American village, French and Indian War fort and Revolutionary War attractions. Currier said he’s found hundreds of arrowheads and two dozen stone axes on the property. He wants to offer wildlife exhibits and the arts at Culpeper Crossing as well. The Virginia Department of Historic Resources sees the possibilities. “Your concept for Culpeper Crossing offers an exciting opportunity to present the rich history of this area in an engaging format and setting,” wrote DHR director Kathleen Kilpatrick in a letter to Currier last year. “We look forward to working with you to develop a sensitive and important new asset for Virginians and the nation.” She encouraged “the use of local building tradition … to link Culpeper Crossing with the cultural heritage of its location.” It’s something Currier remains committed to doing as he moves forward, having ordered bronze statues of Gens. George Meade and Robert E. Lee, who met in Remington. Civil War soldiers who fought in Culpeper — believed to be the most marched upon county during the war — surely would never have guessed the history-themed recreation that awaits the river land at Rappahannock Station. One letter in Currier’s collection of correspondence drafted in this area from that time stands out especially. “I hope the time is not too distant when all who live may see this war ended and peace flow again in one unbroken stream through all our valleys — from east to west and from north to south,” wrote John M. Lovejoy of the 121st New York Regiment, stationed near Brandy Station in 1864. Currier wants his family’s land to remain unbroken by rampant development, which has crept closer to Culpeper’s battlefield sites in recent years. And so about a year ago, he placed 189 acres of Rappahannock Station battlefield — adjoining Culpeper Crossing — into permanent conservation easement, meaning it’s going to stay as is forever. He admitted that his foremost reason for pursuing the conservation easements through the DHR was for the money — easement holders can sell the tax credits they receive for cash. Currier did just that, getting about $3 million for the tax credits. According to the terms of the easement designation, the land can never be subdivided and it carries strict limits, for perpetuity, on very limited development. Currier credited family friend Sandra Stevens, an easement consultant from McLean, for helping him navigate the complicated process. “What she is doing has dramatically affected the county,” he said of other easement projects Stevens worked on last year, including battlefield land in Brandy Station. Successfully obtaining easement status is a complicated process, Stevens said, that spans about nine months. In Virginia alone, she said, there are 34 different land trusts, including DHR, the Civil War Preservation Trust and Piedmont Environmental Council, that hold properties in easement. It’s an altruistic motive to put your land into easement, Stevens said, but these days many folks are doing it for the money too – to save the family farm. She said she has thousands more acres in Culpeper County “in the pipeline” for easement designation. The benefit to the county of historic easements is open space preservation, Stevens said. Culpeper County Planning Director John Egertson, speaking for himself and not the county, said conservation easements are a positive thing for the county because they maintain its overall rural character. On the other hand, he noted, conservation easements could be detrimental if they prevented development in areas intended for growth, like the county’s technology zone next to the Daniel Technology Center. CWL: Hoping to buy real estate next door and open a Starbucks that serves hardtack. That's a market niche! Right? The battlefield park will have a winery and a mircro-brewery so visitors will have to sober up before they leave! Morphine Found To Help Stave Off PTSD In Wounded Troops, David Brown, Washington Post, Thursday, January 14, 2010. More than 200 years after it was isolated from poppies, morphine remains one of medicine's best painkillers. But that isn't its only use. Physicians sometimes include the drug in a cocktail of medications given to people having heart attacks. It can relieve the breathlessness of pulmonary edema. It decreases diarrhea. A famous physician of the early 20th century, William Osler, once called morphine "God's own medicine." Research published this week suggests that the compound might have at least one more use. In a study of about 700 troops who were wounded in Iraq, those who received morphine soon after being injured were about half as likely to develop post-traumatic stress disorder as those who did not get the drug. It is not known whether morphine's apparently protective effect arises directly from the relief of traumatic pain or indirectly by blocking the brain circuits that lay down traumatic memory. The researchers and outside experts agreed that the effect would have to be proved virtually beyond a doubt before morphine would be routinely given to prevent the mental disorder. "I would be very reluctant to suggest any change in clinical practice," said Troy Lisa Holbrook of the Naval Health Research Center in San Diego, who headed the study published in the New England Journal of Medicine. "We need to understand a great deal more how this appears to work." 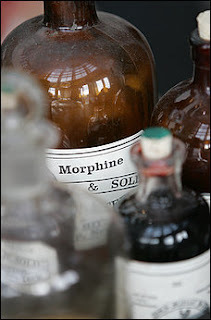 Morphine has been used for pain relief from battle wounds as far back as the Civil War. Since World War II, medics and hospital corpsmen have carried small injectors filled with the drug. Although it is the battlefield painkiller of choice, how commonly it is used in front-line first aid is not known. A recent survey of 114 burn patients treated at the Army Institute of Surgical Research in Texas found that 30 percent had received pre-hospital injections, according to Laura L. McGhee, a researcher there. PTSD is characterized by intrusive thoughts and memories, a desire to avoid specific situations or stimuli, and feelings of both numbness and extreme vigilance. The disorder is common in veterans of the Iraq and Afghan wars, although its exact prevalence is also uncertain. About 40 percent of those veterans cared for at Department of Veterans Affairs hospitals have PTSD. Repeat deployment to a war zone increases the risk of developing the disorder. PTSD can also come on slowly. In one study, 4 percent of troops had the condition; six months later, the prevalence was 12 percent. In the new study, Holbrook and her colleagues looked at the records of 696 wounded forces. About 40 percent had been injured by improvised explosive devices, generally roadside bombs; about 20 percent by gunshots and 10 percent by mortar rounds. About 70 percent received morphine within an hour of being hurt. The researchers saw no clear connection between the amount of morphine people received and their risk of PTSD, in part because the drug was generally given in a standard one-shot dose. But Holbrook would not rule out that such a connection might exist. 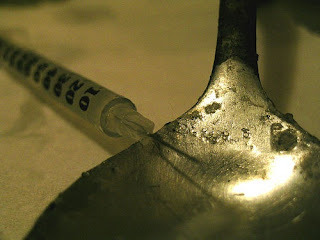 There are many chemical variations on morphine, some man-made, some naturally occurring, as well as numerous sites in the brain and spinal cord where the opioid compounds work. "The next study needs to look at what is the mechanism of action in morphine that reduces PTSD," said Michael R. Galarneau, another of the San Diego researchers. Other drugs have been tried as possible PTSD preventives. They include beta blockers (which block adrenaline) and Valium-like drugs called benzodiazepines. Generally, the results have been disappointing. One drug that shows some protective effect is ketamine, an intravenous anesthetic known to affect memory. In one study, 27 percent of burn patients who received ketamine during treatment developed PTSD, compared with 46 percent of burn patients who did not. Ian Black of the University of Vermont, a former Army anesthesiologist who did that study, was not surprised by the latest findings. "The conventional wisdom now is that there is some sort of memory consolidation that happens during stress, and things you can do to interrupt or decrease stressors, like pain, may reduce the risk of PTSD," he said. The Lincoln Assassination: Crime and Punishment, Myth and Memory,Harold Holzer Craig L. Symonds, Frank J. Williams, editors, Fordham University Press, 256 pp., $27.95. The assassination of president Abraham Lincoln remains one of the most prominent events in U.S. history. It continues to attract enormous and intense interest from scholars, writers, and armchair historians alike, ranging from painstaking new research to wild-eyed speculation. At the end of the Lincoln bicentennial year, and the onset of the Civil War sesquicentennial, the leading scholars of Lincoln and his murder offer in one volume their latest studies and arguments about the assassination, its aftermath, the extraordinary public reaction (which was more complex than has been previously believed), and the iconography that Lincoln’s murder and deification inspired. Contributors also offer the most up-to-date accounts of the parallel legal event of the summer of 1865—the relentless pursuit, prosecution, and punishment of the conspirators. Everything from graphic tributes to religious sermons, to spontaneous outbursts on the streets of the nation’s cities, to emotional mass-mourning at carefully organized funerals, as well as the imposition of military jurisprudence to try the conspirators, is examined in the light of fresh evidence and insightful analysis. The contributors are among the finest scholars who are studying Lincoln’s assassination. All have earned well-deserved reputations for the quality of their research, their thoroughness, their originality, and their writing. In addition to the editors, contributors include Thomas R. Turner, Edward Steers Jr., Michael W. Kauffman, Thomas P. Lowry, Richard E. Sloan, Elizabeth D. Leonard, and Richard Nelson Current. Harold Holzer, Senior Vice President for External Affairs at The Metropolitan Museum of Art, is one of the nation’s leading authorities on Lincoln and the political culture of the Civil War era. He serves as co-chairman of the U.S. Abraham Lincoln Bicentennial Commission. He has written, co-written, or edited 35 books. Craig L. Symonds is a leading Civil War historian who was Professor of History at the United States Naval Academy for three decades. He is the author of more than ten books, including Lincoln and His Admirals, which won the 2009 Lincoln Prize. Frank J. Williams, a renowned Lincoln scholar, is a former Chief Justice of the Supreme Court of Rhode Island, a member of the Lincoln Bicentennial Commission, and author or editor of many books, including Judging Lincoln. CWL will trust William Hancett on this one. His The Lincoln Murder Conspiracies is after thirty years still the best review of the conpiracy theories that accused Sectretary of War Henry Stanton and, yes, even the Pope. A Question of Command: Counterinsurgency from the Civil War to Iraq, Mark Moyar, Donald Kagan (Foreword), Frederick Kagan (Foreword),Yale University Press, 368 pages, October 2009, maps, photographs,appendix, notes, bibliography, index, $30.00. "According to the prevailing view of counterinsurgency, the key to defeating insurgents is selecting methods that will win the people’s hearts and minds. 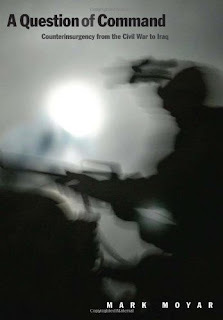 The hearts-and-minds theory permeates not only most counterinsurgency books of the twenty-first century but the U.S. Army/Marine Corps Counterinsurgency Field Manual, the U.S. military’s foremost text on counterinsurgency. Mark Moyar assails this conventional wisdom, asserting that the key to counterinsurgency is selecting commanders who have superior leadership abilities. Whereas the hearts-and-minds school recommends allocating much labor and treasure to economic, social, and political reforms, Moyar advocates concentrating resources on security, civil administration, and leadership development." "Moyar presents a wide-ranging history of counterinsurgency, from the Civil War and Reconstruction to Afghanistan and Iraq, that draws on the historical record and interviews with hundreds of counterinsurgency veterans, including top leaders in today’s armed forces. Through a series of case studies, Moyar identifies the ten critical attributes of counterinsurgency leadership and reveals why these attributes have been much more prevalent in some organizations than others. He explains how the U.S. military and America’s allies in Afghanistan and Iraq should revamp their personnel systems in order to elevate more individuals with those attributes." CWL: There are two chapters, The Civil War and Reconstruction, with immediate interest. Forty-five pages on focusing on Missouri, Arkansas during the war and Missouri, Texas and Arkansas during Reconstruction. The author details the strategy and tactics of Brigadier Genral Robert F. Catterson, a very aggessive and successful counterinsurgency commander in Arkansas who led the state militia units that destroyed the Ku Klux Klan by 1868. Chimborazo: The Confederacy's Largest Hospital, Carol C. Green, University of Tennessee Press, 200 pp., notes, bibliography, index, illustrations, paperback, $21.95. A long time on the wishlist, Chimborazo was added to the personal bookshelf when I finally got to Chimborazo Hospital's site in Richmond. While staying at Williamsburg, VA my GPS spoke to me: "Richmond is onlyh 45 minutes away!" So the next day on to Richmond's American Civil War Center, The Tredegar Ironworks, Chimborazo Hospital, and the Edgar Allan Poe Museum! Blue skies and 45 degrees and cruise control! The former headquarters building for the NPS's headquarters for the Richmond Battlefield Parks, the building marking the Chimborazo Hospital site did not exist during the Civil War. Though small, the building has a 2001 film and a very fine diorama of the hospital. Several of the items in the bookstore begged to be taken to my house but I limited myself to one but wrote down three titles to add to the wishlist. The Confederate States Medical Journal, published in 1864 and 1865 is once again in print and is priced at $95. "Chimborazo covers the organization of the Confederate Medical Department of Chimborazo Hospital, staff leader Dr. James B. McCaw, the surgeons, staff and patients. Medical treatment and supplies is covered as is the closing of the hospital. The author offers an evaluation of the hospital. Opened in October of 1861, the hospital covered over forty acres and operated between 75 and 80 wards grouped into five separate divisions Each ward was a hut made of whitewashed pine boards that housed up to forty patients, giving the entire hospital a capacity of over 3,000. Every division had its own laundry, kitchen and bathhouse, and a central bakery and dairy serviced the entire facility, making Chimborazo one of the Confederacy's best-equipped hospitals as well as one of the largest. 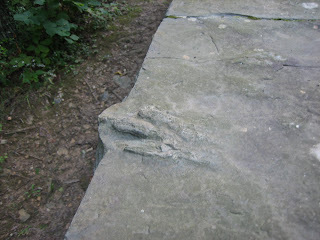 Directly outside the grounds were the J.D. Goodman brewery and the city's Oakwood Cemetery. More than 76,000 Confederate sick and wounded were treated here. Chimborazo had a patient mortality rate of 20 percent; dismal by today's standards, but quite good in terms of nineteenth century medicine, before the days of antibiotics, antiseptic surgery and widespread understanding of germ theory. Indeed, it was viewed by Confederate leaders as one of the finest hospitals their new nation possessed. "The Firm: Mitchell, Morehouse and Keen and Civil War Neurology", D. J. Canale, pp. 127-141 with notes in Years of Change and Suffering: Modern Perspectives on Civil War Medicine, James M. Schmidt and Guy R. Hasegawa, editors, Edinborough Press, 2009, $29.95 (hardcover), $13.95 (paper). As in the case of post-traumatic stress syndrome in Civil War veterans, brilliant and hardworking individuals bring forth a new medical approach to phantom pain and sensations from amputated limbs. Silas Weir Mitchell and co-workers George R. Morehouse and W.W. Kean birthed the American study of neurology. At the outbreak of the war Mitchell declined a commission as a brigade surgeon due to family obligations including assuming his father' medical practice. In a year's time, Mitchell was serving as a contract surgeon at the Filbert Street Hospital in Philadelphia. Recognizing the experience as a unique opportunity to produce scholarly research as well as heal wounded soldiers, Mitchell pursued patients with diseases and injuries to the nervous system. George Read Morehouse, a colleague of Mitchell, was assigned in 1863 to the Christian Street Hospital and W. W. Keen was assigned to assist Mitchell after Keen served as an assistant surgeon during the First (1861) and Second (1862)Manassas campaigns. Like several other medical discoveries during the Civil War, neurology was developed by the concentration of medical talent in Philadelphia. As the three migrated to the new 400 bed Turner Street Hospital in Philadelphia, it became the first hospital in the United States to develop treatment for neurological injuries and disorders. The first hand observation of nerve injuries inflicted by gunshot wounds led to a classification system: the pain, paralysis and loss of sensation related to reflex paralysis, causalgia (burning sensation in attached limbs), malingering (feigned symptoms) and the perception that a missing limb is still attached. By 1864 the team wrote and published ground breaking Gunshot Wounds and Other Injuries of Nerves. The six classifications of injuries to nerve trunks were founded upon detailed case students with the full cooperation of the afflicted soldiers. Self-reporting by articulate suffers and improvement in interviewing techniques of physicians allowed for a breakthrough in interpretation of trends found in case studies. From the 1854 Surgery (Eichsen edited by Briton), the 1861 System of Surgery (Gross) and the 1862 Treatise on Gunshot Wounds (Longmore), Mitchell and colleagues found that there was not therapy for the repairing of damaged nerves. They successfully explored the degeneration and regeneration of served nerves and the possibility of suturing of divided ends of nerves. Reflex paralysis instigated by shock to nerves or the spinal cord and causalgia (burning sensation) brought about severed and damaged nerves were found to exist in patients. A systematic and thorough interview and collection of information from other soldiers weeded out malingers who feigned pain and disability to avoid duty. Though not systematically studied, data was collected on phantom limb sensation. Mitchell speculated on the phantom limb pain in his noteworthy, in literary terms, short story The Case of Georg Dedlow published in 1866 in the literary magazine The Atlantic . Mitchell succumbed to exhaustion and withdrew from medicine for 1864, but during the year he travelled to Paris to consult with physicians also studying neurology. With the closing of Turner's Lane Hospital in June 1865, the team broke apart though they worked in Philadelphia at different practices. Mitchell, Morehouse and Keen continued their pioneering work throughout the rest of the 19th century with Mitchell also gaining notoriety for his short stories. Their systematic collection of data, their consistent use of interviewing methods, their collection of patient generated descriptions allowed them to advance neurology and the treatment of gunshot wounds. Surgeons in both World War One and World War Two relied on their discovers and conjectures. Haunted Minds: The Impact of Combat Exposure on the Mental and Physical Health of Civil War Veterans, Judith Andersen [143-158 with notes] in Years of Suffering and Change: Modern Perspectives on Civil War Medicine, James M. Schmidt and Guy R. Hasegawa (editors), Edinborough Press, 2009, $29.95 (hardcover), $13.95 (paper). Judith Anderson introduces her understanding of post-traumatic stress syndrome in Civil War combat veterans with discussion of the disintegration of a veteran's marriage and family. Frank Lang, native German, active duty infantryman, hospital attendant waded through suffering and death while serving in Company K, 7th Michigan in the Army of the Potomac from 1861 to 1865. By 1871, his wife went before a Minnesota judge and testified to the emotional and physical abuse, neglect and abandonment that she and her children suffered at the hands of her husband, Frank Lang. After the divorce was granted Frank Lang disappeared. Anderson states that from ancient to modern times, whenever humans suffer an extended period of exhaustion, hunger, hard campaigning, and combat, all at the mercy of nature's elements, the likely outcome is psychiatric disorders. Showing no visible wounds but carrying memories that would leave him cross, morose, reclusive, violent and quite willing to bring about the destitution of his wife and family, Frank Lang had changed during the course of the war. The family's neighbors confirmed the wife's testimony to the judge. Physicians in the Civil war noted that stress reactions included partial paralysis, muteness, intermittent screaming and weeping. Nightmares, flashbacks, anxiety, agitation, irritability, nervousness, unexplained headaches and nausea with no apparent organic orgin stymied doctors understanding. Often, the diagnosis was hysteria and nostalgia. The disorders of paranoia, psychosis, hallucinations, illusions, insomnia, confusion, memory problem's, delusions and spontaneous violence were classified as nervous disorders without known cures. 'Irritable heart' and 'cardiac muscular exhaustion' were the official diagnosis. Malingering was an official medical condition during this era. In 1862 to settle pension issues the government had to distinguish between the malingering soldier from the soldier with an organic disease the symptoms of which were malingering. In order to avoid paying pensions to soldier feigning illness, pension bards set procedures for investigating claims. A government examiner whose first criteria as the record of physical wounding. If a wound was not present, then affidavits from clergy, relatives and neighbors had to be submitted. These affidavits recounted the soldiers behavior before and after military service. If a significant change was discovered then the possibility of a pension was considered. Examining physicians were named to objectively interview the veteran. Multiple examinations were sometimes needed to form a consensus by the examining board of doctors. The heritage of Civil War medicine is the reliance on objective evidence for a diagnosis of a nervous disease and the development of a process to collect medical records. The chief advances as they relate to the diagnosis of mental illness were few but essential for the growth of psychiatric medicine. A Quiet Flame: A Bernie Gunther Novel, Philip Kerr, Putnam Publishing, 389 pp., 2009, $26.95. Do the names Dashiell Hammett, Raymond Chandler, James M.Cain, and Ross MacDonald ring a bell? How about Steven Saylor, John Maddox Roberts, Max Allan Collins? James Crumley? All writers of detective fiction whose entire series are on CWL's personal bookshelf. Hammett, Chandler, Cain, and MacDonald founded and extended the 'hard boiled/noir' genre of detective fiction. Saylor and Roberts have set this genre in the Roman Empire. Collins offers Prohibition/Depression/WWII and post WWII era Chicago, Crumley has set his his hard boiled/noir detective in Montana and Texas. They are masters of their trade. Philip Kerr's detective, Bernie Gunther, fought as a late teen in the WWI trenches, joined the Berlin police force during the Wiemar Republic era and made some very difficult choices during the early 1930s as cop who did not kowtow to the Nazi regime. Kerr does not 'grind out' a Bernie Gunther novel every year. March Violets (1989), A Pale Criminal (1990), A German Requiem (1991), The One From The Other (2006), A Quiet Flame(2009), If The Dead Be Not Raised (2010). The political violence and crimes as well as the sexual cabaret of Berlin in the 1920s and 1930s is the environment of Bernie Gunther. The cast includes historic and fiction characters. A Quiet Flame combines two stories, one set in the early 1930s Germany and one set in the late 1940s Argentina. Josef Mengele, Adolf Eichmann, Otto Skorzeny, and Hans Kammler have crucial parts in the plot but Kerr does not make it about them on every page. One of Kerr's many strengths is that he shows these Nazi in small glimpses that are crucial to the plot. Bernie Gunther is not a high minded copper weighted down by dogmas. His notions of justice, fairness, love, duty and honor develop through the course of his lifetime and in the context of the society and culture of his era. Gunther relies on what he has learned from his father, his police mentors and the women in his life. Gunter's search for criminals is also a search for a 'usable past' (to borrow a phrase from American historian Carl Becker who coined the phrase in his 1935 essay Every Man His Own Historian). It is an immediate past of the victim, the recent past of the perpetrator and personal life history of the detective. Readers of Kerr's 'Berlin Noir' series enjoy a fine detective story, an immersion in German social history and the complexity of very subtle evil. Old Times There Are Not Forgotten: An Overview of Music of the Civil War Era, Bruce C. Kelly, pp. 1-36 in Bugle Resounding: Music And Musicians Of The Civil War Era, Bruce C. Kelley and Mark A. Snell, editors, University of Missouri Press, 260 pp., illustrations, index, notes, 2004, $44.00. 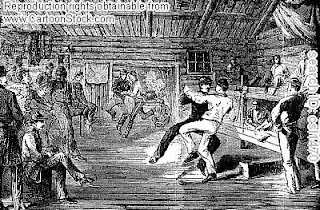 Music was an essential element of American culture during the Civil War era. The impact of the war upon public, social music, theatre, concerts, and church music was felt dramatically in the South as the battlefront neared major cities. New Orleans and Nashville fell to the North in April 1862, Vicksburg and Chattanooga in 1863, Atlanta and Mobile in 1864. In these urban centers, theatre and concerts were curtailed during the attacks and afterward for a variety of reasons. Federal military music and concerts by military bands were generally the only notes struck after the occupation. Cities that passed through the war without suffering damage, Houston and Kansas City, received refugees and a surge in musical activities. Women composers on both sides of the Mason-Dixon Line garnered success with patriotic songs and polkas. Both Sanitary Commission and Christian Commission fairs held dances which required event specific compositions that were either sung by choruses or performed by bands and orchestras. African-American music and musicians continued to thrive in workplaces and churches. The first publication of slave songs appeared in 1861. By 1867 collections of these songs began to appear. The war and emancipation provided great opportunities for black musicians who continued their traditional roles as repositories of work, faith and folk culture. In the camp life of Black soldiers slave plantation music met Northern urban music. Kelley cites several scholarly works that focus on sinful and spiritual tunes in Black folk music. White transcriptionists attempted to faithfully notate traditional black music but were stymied by the vocal techniques used by slaves with a variety of Dixie-Afro dialects. At times white transcribers transferred into the music their own attitudes about life, work, faith and black identity. Military bands were organized by regiment early in the war but quickly migrated into brigade and division bands. Some regimental bands, such as the 14th Connecticut, were so good, were called upon to play as the units advanced or retreated. Kelley cites the work of this Connecticut band during the retreat in the face of Jackson's assault at Chancellorsville. The band's performance was such that the 14th Connecticut's brigade rallied on the band as it played. R.E. Lee stated in 1864 that he did not believe an army could exist without music. Several histories of Civil War military music have been written and several histories of regimental and brigade bands now exist. 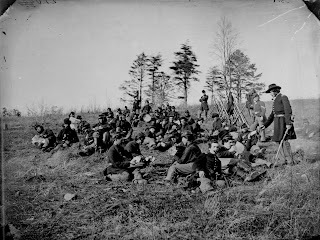 Accounts of bands surrendering at Appomattox, passing through four years of war, and continuing as they return to their local communities are in the literature. Technical innovations in instrument construction and instruction marked the war. Kelly cites the 1860 census as reporting that 21,000 pianofortes were manufactured and probably 30 a day were sold through the Union before secession. The banjo moved from artisan workshops to industrial production. There was a surge in amateur education through book instruction for stringed instruments and drums. Sheet music production existed in most major cities before the war and only slowed in the South as paper became expensive and scarce. The collection of wartime sheet music, songsters, and song books by wealthy families became a trend and many of these collections now reside in academic libraries. Kelly agrees with other researchers that the Civil War was a laboratory for musicians, composers and entertainment promoters, not unlike it was a laboratory for medicine, communication, railroads, manufacturing and banking. "Old Times There Are Not Forgotten: An Overview of Music of the Civil War Era, Bruce C. Kelly, pp. 1-36 in Bugle Resounding: Music And Musicians Of The Civil War Era, Bruce C. Kelley and Mark A. Snell, editors, University of Missouri Press, 260 pp., illustrations, index, notes, 2004, $44.00. Kelly's essay focuses upon the major music personalities of the era, the American reception of European classical music, popular songs and dances of the home front and in the camps, the American musical community, African-American music and musicians, military and civilian bands, the music publishing industry, innovations of instruments and the impact of the war on post-war music. The most popular composers of music during the war were John Hill Hewitt (Confederate) and George Root (Union). Remarkably, Hewitt was a native of NYC, disliked slavery and pro-Union but lived in the South and remained there throughout the war. Working in Richmond he penned the classics Somebody's Darling, and All Quiet Along the Potomac Tonight and many others. Root wrote over 30 songs during the war including The Vacant Chair, The Battle Cry of Freedom, Just Before the Battle, Mother, and Tramp! Tramp! Tramp! . Kelly includes three others in the pantheon. 1.) 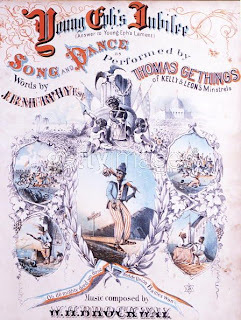 Thomas Greene Wiggins aka Thomas (Blind Tom) Bethune a music savant who was black, enslaved, blind and unable to care for himself and thought to be an idiot in all things except music, 2.) Patrick Gilmore an Irish immigrant who was an extraordinary band leader, promoter,and who produced monster concerts one of which included a 500 piece band, a 6,000 voice chorus, 50 canons, and 40 soldiers striking anvils and is credited with writing When Johnny Comes Marching Home, and 3.) Clara Louise Kellogg, a professional soloist, opera company manager, native South Carolinian who moved to NYC before the war and lived there during it. Regarding European influences, the impact travelled both ways across the Atlantic. Rimsky-Korsakov, later to become one of Czarist Russia premier composers, was in the Russian navy on a shipped stationed off the eastern seaboard of the U.S. He left notes regarding the impact of his Northern visits upon his later composition. For the most part though, it was European opera companies touring the North during the war that schooled American students in performance that influenced American popular culture. Kelly summarizes the extraordinarily important role of popular music during the war. He cites four scholarly and extensive works that have been written on the subject. Kelly also surveys the publication and republication of songbooks, collections, and dance manuals. He encourages readers to consult Allison Thompson analysis of the many social dances of the era found in Dancing on the Eve of Battle: some Views about social dance During the American Civil War (Country Dance and Song, volume 21:19-25 (March 1991) as well as five other books and scholarly articles on the subject. Geology of the Gettysburg Battlefield: How Mesozoic Events and Processes Impacted American History, Roger J. Cuffey et al., Department of Geosciences, Pennsylvania State University, 16pp., bibliography, 2006. Downloadable PDF. Inspired by Brown’s (1962) brief summary of the geology of the Gettysburg battlefield, the present co-authors recently wrote a lengthy guidebook and reissued it for a 2006 Geological Society of America Annual Meeting field trip. A shorter field guide was also needed for that trip that could be used by many other geologists afterwards; therefore, Cuffey condensed the long guidebook into the article here, assisted particularly by Inners and Fleeger, but drawing on all of the authors’contributions as well. CWL: The tour consists of 13 stops with 17 sites. The contents of the report consists of a one page summary of the battle, a two page summary of the geology, a ten page tour descriptions with travel directions and stop descriptions. A bibliography and twenty charts, maps, and photographs is included. Seems perfect for an integrated social studies curriculum for home, private or public schools grades 8 and up. Study focuses: July 1 Railroad Cuts and McPherson's two stone quarries, Culp's Hill, the landscape of the Pickett/Pettigrew/Trimble Charge, The Peach Orchard, the view of South Mountain from the Longstreet Observation Tower, the course of Plum Run, Stoney Knoll/Houck's Ridge/Devil's Den, and the Round Tops.